Heavy snowfall has thrown life out gear in many parts of Himachal Pradesh. In Mandi, an elderly man had to be carried on shoulders to the hospital on Sunday. No vehicle could run after heavy snowfall blocked roads in Mandi and the neighbouring areas. 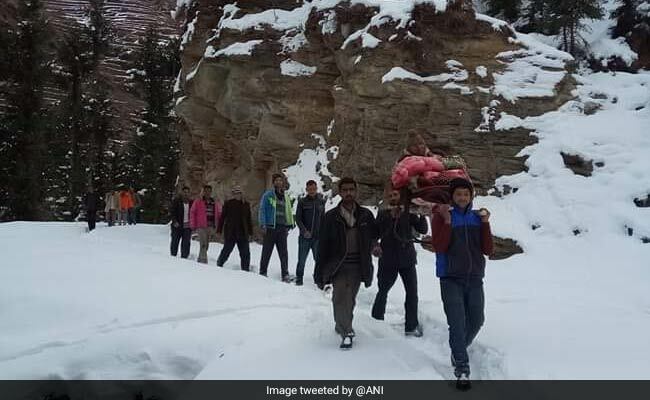 The 70-year-old had to be carried for 9 kilometres, from Kal Chham village in Saraj valley to Chakudhar, the nearest health centre, said locals. Cold wave conditions persisted in the hill state with the mercury below below zero degrees at many places including the tourist destinations. The minimum temperature in Manali was minus 5 degrees Celsius, Kufri recorded minus 4.2 degrees and Dalhousie froze at minus 4 degrees. Fresh snowfall led to traffic congestion on the National-Highway 5 at Kufri. Over 500 roads in different parts of the state have been closed after the recent snowfall during the past three days. 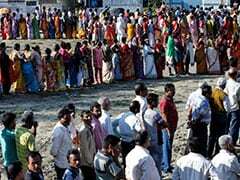 Over 300 machines and nearly 2000 people have been deputed to clear the roads in Himachal Pradesh and Uttarakhand. The Meteorological Department has predicted heavy snowfall and rain in Himachal Pradesh from Wednesday, an official said on Sunday. "A fresh western disturbance is very likely to affect western Himalayas and adjoining plains from January 29 and it would lead to fairly widespread rain and snowfall in the state from January 30 to February 1," said the Shimla weather centre director Manmohan Singh. An official spokesperson of the Himachal Pradesh government has advised people not to venture in avalanche prone slopes in Shimla, Chamba, Lahaul-Spiti, Kullu and Kinnaur districts in a next few days.